We’re your one stop, family run surf shop in the very heart of Leucadia, Encinitas - California. We offer a huge selection of 300+ new and used surfboards from local & world-renowned shapers. We stock all the gear you need for a great day out in the water and at the beach. Wetsuits, fins, leashes, wax, swimwear, sunscreen…we have it all, and more. 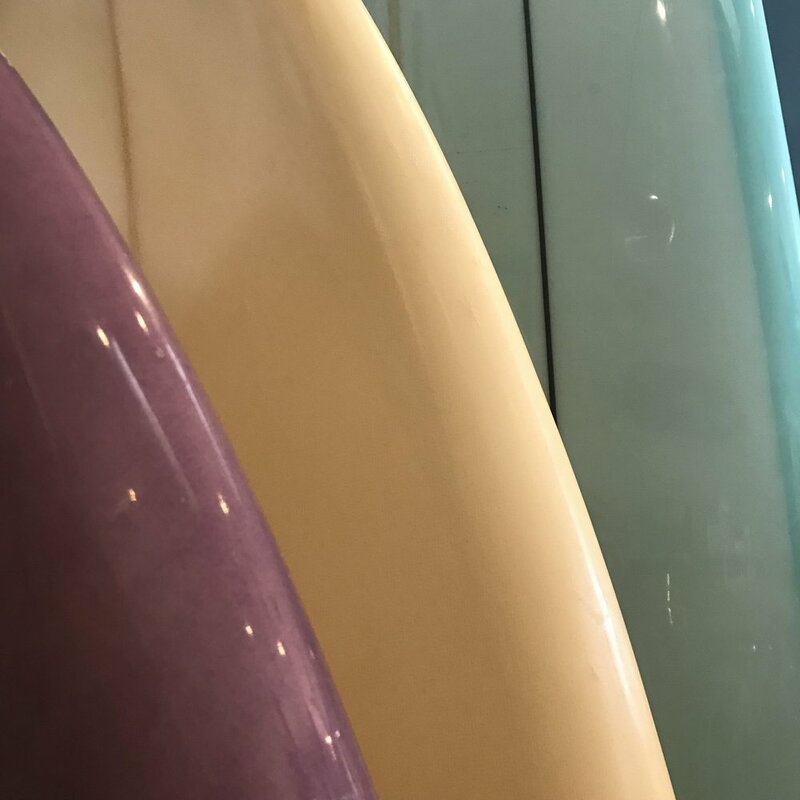 We also offer a large selection of surfboard, wetsuit and SUP rentals - with our convenient location along historic Highway 101, just 2 blocks from Beacons Beach and a short drive to some of Southern California’s finest surfing breaks - be sure to stop by on your next surf adventure! Looking to rent a soft board, hard surfboard, bodyboard, wetsuit or SUP? We’ve got you covered. Sell your surfboard with us and keep 75% of the profits. Check out our consignment program…..
Shopping for a new surfboard? Be sure to check out the great deals in our used surfboard racks! We stock a huge selection of surf hardware & accessories - Wetsuits, fins, traction, wax and more! Looking for a new board? We carry some of the finest new boards from local and world-renowned shapers. No ding is too big or too small. Bring your board by for a custom ding repair quote and fast turnaround! FOLLOW OUR INSTAGRAM FEED & STORIES FOR THE LATEST NEW BOARD ARRIVALS DAILY!